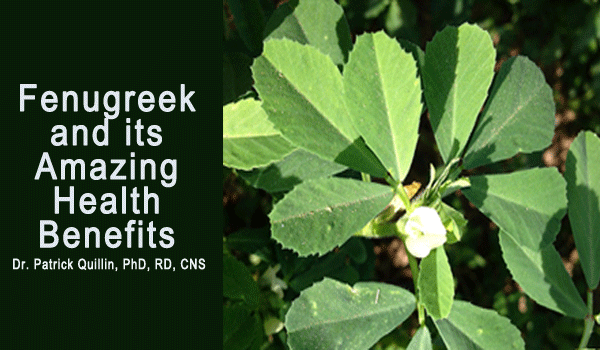 Fenugreek is one of the Asian spice varieties that have potent medicinal properties. Though, fenugreek seeds and leaves are commonly used in Asian cuisines, in past few decades the amazing health benefits of fenugreek has made it popular as natural herbal remedy for various ailments. Fenugreek (Trigonella foenum-graecum) commonly known as methi or greek-hay/clover, is an annual leguminous herb belonging to the fabaceae family. Its long pods contain tiny yellow-brown seeds, which are used as spice to add strong pungent flavour to the Indian and Asian recipes. Improves Digestion – Dietary fiber found in fenugreek works as laxative in speeding up bowel movement and relieving constipation. Also, mucilage content of fenugreek helps in soothing inflammation by effectively coating stomach and intestinal lining. These properties make fenugreek an effective remedy for indigestion, gastritis, heartburn or acid reflux, colic, flatulence, dysentery, diarrhea and dyspepsia. Lowers Cholesterol: Fiber especially saponins in fenugreek seeds help in lowering low density lipoprotein (LDL) i.e. bad cholesterol and triglyceride levels by reducing both body’s absorption of cholesterol from foods and production of cholesterol in the liver. risk of atherosclerosis, heart disease and stroke. Lower the risk for cancer and heart disease. Regulates Blood Sugar: A water-soluble fiber called galactomannan in fenugreek seeds, is found to be very effective in lowering blood glucose levels by slowing down the rate of sugar absorption into the blood. Also, the amino-acid 4-hydroxy isoleucine (4HO-Ile) in fenugreek seeds, besides facilitating the production and secretion of insulin, increases insulin sensitivity. In addition to this, galactomannan lowers urea and creatinine content in the plasma, which has protecting affects against diabetes-induced kidney injury. Promotes Breast Milk Secretion: Fenugreek is used traditionally as a natural herbal remedy to improve health of mother and baby in the early postnatal days. It is an effective galactagogue, which promotes breast milk production and stimulates milk ducts to enhance milk flow in nursing women. This positively influences the rate of weight gain in the newborns. Though, fenugreek stimulates uterine contractions, eases child-birth and reduces labor pain; for the same reasons excess intake of fenugreek during pregnancy can increase risk of miscarriage or premature childbirth. Eases Menstrual Discomfort: The phytonutrient compounds in fenugreek show estrogen-like properties, which help in reducing PMS associated symptoms (pain and cramps). These compounds are also found useful in easing menopause related symptoms like hot flashes, mood swings, depression, cramps and abnormal hunger pangs. Prevents Cancer: The fiber (saponins, hemicellulose, mucilage, tannin, and pectin) and antioxidants in fenugreek facilitate flushing out of toxins and waste from the body and thus help in protecting your body against certain cancers. Maintains Hormonal Balance: Fenugreek helps in improving energy, stamina and overall health and wellness by balancing various hormones. It is found especially effective in enhancing libido and sexual health by maintaining healthy levels of estrogen in women and testosterone in men. Assists in Weight Loss: The fiber rich fenugreek helps in weight loss by making you feel full for longer and suppressing your appetite. It also improves your metabolism and found helpful in reducing body fat. Relieves Fever and Sore Throat: The vital nutrients in fenugreek nourish your body and boost your immunity against various infections. Herbal tea made with fenugreek, lemon and honey is used as natural remedy to reduce fever. Also, mucilage content in fenugreek soothes pain from sore throat and is used traditionally to get relief from cough and bronchitis. Soothes skin inflammation: Antioxidants and vitamin C in fenugreek sooth inflammation and assist in treating various skin ailments i.e. eczema, burns, boils, abscesses and gout. Infact, topical application of fenugreek on skin is a wonderful natural remedy for tackling almost all skin problems such as blackheads, pimples, wrinkles and scars. Resolves Hair Problems: Fenugreek paste when applied on hair makes your hair healthy, shiny and black. It also helps in reducing hair fall, hair thinning and dandruff. Other health benefits of adding fenugreek seeds in your diet include relief from anemia, loss of appetite and taste, mouth ulcers, kidney ailments, polycystic ovary disorder, arthritis, asthma, hernias and insomnia. Also, fenugreek is sometimes used as a poultice (wrapped in cloth, warmed and directly applied on skin) to treat inflammation, pain and swelling in muscles, lymph nodes and toes. In Asian and Mediterranean cuisine, fenugreek seeds are used as a spice and flavouring agent in various forms i.e. whole seeds, sprouted, powder, paste. Also, these seeds are added as preservatives in pickles and as a stabilizer or thickening agent in various food preparations. This is a popular spice for weight loss. As fenugreek seeds possess strong aroma and bitter taste, do roast them under light heat to mellow their flavour. You can sprinkle small quantity (2-5 grams) of sprouted fenugreek seeds to salads, paste, dips, fillings, vegetable stir fry, soup and lentil dishes. Alternatively, you can take 500-1,000 mg of it in supplement form. Precaution: Fenugreek is a safe, herbal food but excess intake of fenugreek seeds by pregnant women is not advised. Also, people with bleeding disorders or who are on anticoagulants i.e. blood-thinning medications should not take it. It can cause irritation, so test before applying it directly to the skin. As always, we recommend you work with your doctor. Can Intermittent Fasting Really Improve Your Health?